Guess what happened on Friday night? The apartment across the hall from me was broken into and robbed! I heard my friends Patrick and Ashley talking to some women in the hall and it was late so I went out to see what was going on and apparently the ladies that live next door to Pat and Ash were robbed. They were only gone for about two hours but they left their back sliding glass door unlocked. What did they steal? A laptop, cell phone, and chocolate. What in the...? It was strange, but it still shook us up. I mean, what if they had come home while they were still there? It could have been a lot worse. The cops didn't even come until the next morning since nobody was hurt. I slept with our gun closeby that night! Michael was at work and it was a little harder to fall asleep than usual! I'm just glad everyone is okay. On Saturday morning my sister and I went to the church with a few other women to do Zumba! It was hilarious and really fun to try to do Zumba from a DVD. But it was still a great workout! On Sunday we went to church and then that night we had a BBQ at the jail he works at. It was sort of "staff appreciation" thing and it wasn't the first time I had been there but it was the first time he actually got to show me around a lot of of it. I couldn't take any pictures, legally, so you will just have to believe me when I tell you that this jail would be a sweet life if you had nothing else going for you. They had horse shoe rings, volleyball nets, picnic tables and grassy areas...the women inmates I saw were all just chillin on their bunks talking to each other or reading. What a sweet life if you are homeless, right?! Anyway, it was interesting to see some stuff and meet some more people he works with. Apparently having arm candy gives him more respect. I'm glad I could be of service as his trophy wife! After the BBQ we went to his parents house for dessert and to catch up a little. Last night there was a man in the apartment above us that was talking really loudly on his cell phone. I'm talking so loud that we weren't even by our window, we could still hear him loud and clear. It was almost 11:00 and I needed to go to bed. We waited for a while to see if he would stop, and when it was clear that he was completely unaware of others around him, Michael went outside. We thought he was out on his patio because he was so loud but he was just in his room with the window wide open. With his commanding "professional voice" (meaning inmate commanding voice), he shined his flashlight in the window and yelled "Hey! Can you keep it down?! There are other people besides you living here. Thanks!" He shut up right away. I'm NOT going to miss that aspect of apartment living! That pretty much sums up my weekend! It's great how much thicker the walls of a real house are! :P Hooray for no more apartment living! So scary about the break in!! Glad you are ok. And yes that movie looks like it would have me in a ball of tears!! :) seems like an eventful weekend! I really want to see Charlie St.cloud as well! You are some awesome arm candy :) I'm sure he was excited to show you off! I would not have been able to sleep that night! Bet all of that makes you excited to be in your home! How scary about the break in! Yikes. I've my cars broken into but never my home! I am glad yours was not the one hit. I am a little sickened by what my tax dollars are paying for. Wow thats super scary. I rpobably wouldnt have been able to sleep that night because I am such a chicken when it comes to that sort of thing. LOL @ the trophey wife comment. KEvin is the lead singer in the band and whenever I go to one of his shows (which isnt often) he is like "ok you have to look really hot, like the hotest girl there, because you are the singer's girlfriend." Guys are just too funny that way. I hear a lot of jails are really nice. They have a lot of luxaries... What level security prison does he work in? Like what type of criminals are there? How freaky to have a neighbor robbed!! Good thing you are moving out soon! yay for Michael helping you be able to sleep, what would we do without such wonderful husbands!? oh gosh!! thats scary....make sure to lock your doors!! Have you ever read the book Ordinary People? 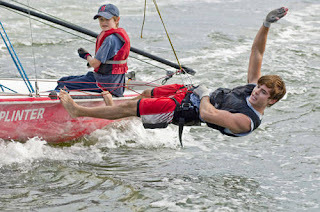 I'm not entirely sure, but from the previews the storyline of Charlie St. Cloud sounds a lot like Ordinary People. 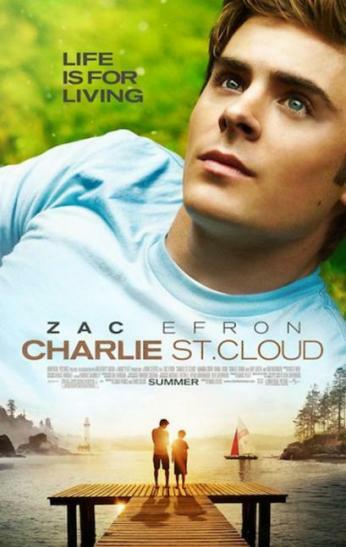 I loved Charlie St Cloud, it was such a good movie! 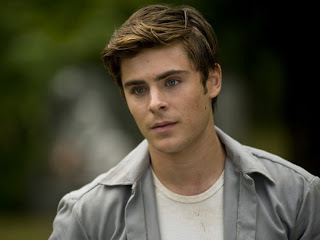 Zac is getting better looking with age! He is so HOT! I hate loud people in apartments,they are so rude! at least you will be moving into a house soon! Saying hi from SITS! You have so much to look forward to and so many adventures. I just celebrated my 20th! wedding anniversary and have two kids - 15 and 12. I still can't believe I'm as old as I am -- I remember the early days so well. Enjoy it all. We've bought 3 homes together - it's definitely a defining moment in your relationship. Good luck!